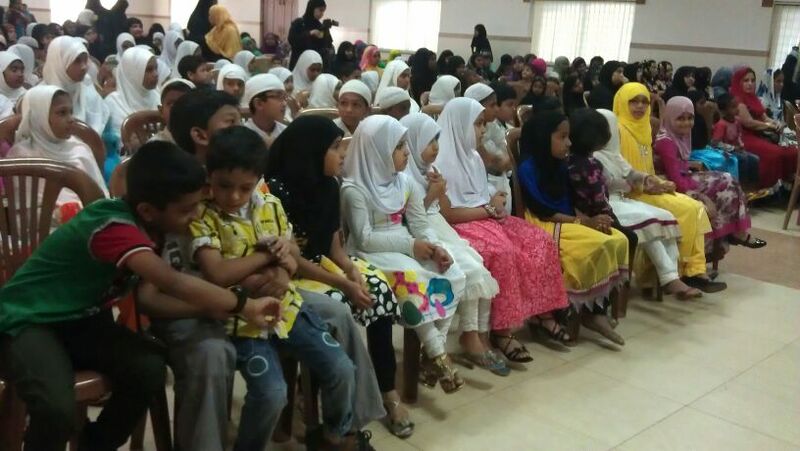 By the grace of ALMIGHTY ALLAH ,CHILDREN CIRCLE AND JAC(junior associates circle) of margao unit celebrated “Flowers of Heaven”day on 16th feb 2014 at MCC hall margao. The objective of the event was to provide a platform for the students to showcase their talents and skills and learn how to mould their lives according to the golden principles of Islam. MAULANA ABDUL MOBEEN ASARI (secretary,Board of Islamic Education) was the chief guest for the event. 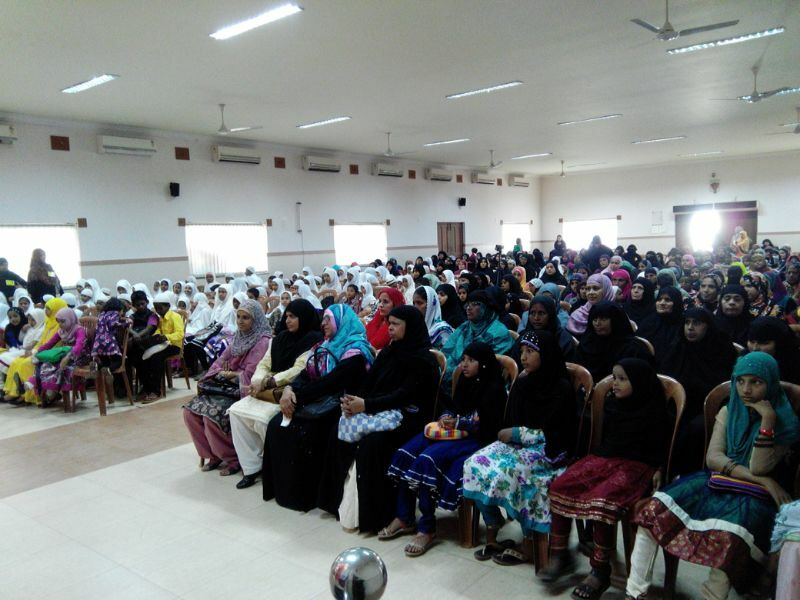 The programme was began with the tilavat-e Quran of surah A’la by a student of children circle, and was followed by inaugural address by Mrs.MEENAZ BHANU (Principal of children circle and JAC ,MARGAO UNIT) In which she emphasized on the need for moral education and said being muslim parents we must try to set high moral standards for our children as per Quran and Sunnah. Later she also presented a brief report of margao BIE unit. After that children of different ages presented tilavat and translations of Quran, hadeeth with translations. 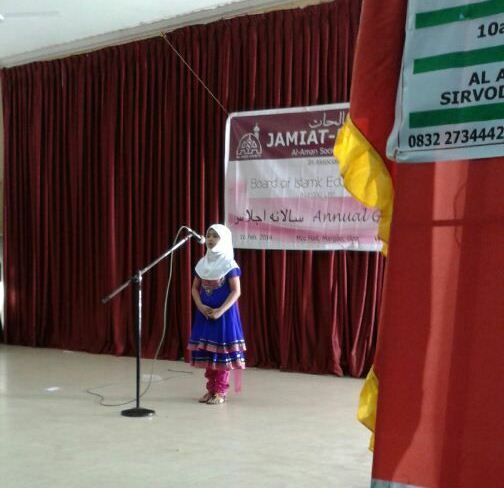 Skits, islamic songs,presentations by nursery students and speeches,etc. The programme then continued with the Address by chief guest MAULANA ABDUL MUBEEN ASARI, JANAB ISMAIL SAHEB(secretary of al aman soceity,shirvodem),and MAULANA ZAFAR AALAM NADAWI(BIE MEMBER) were the guests of honor. 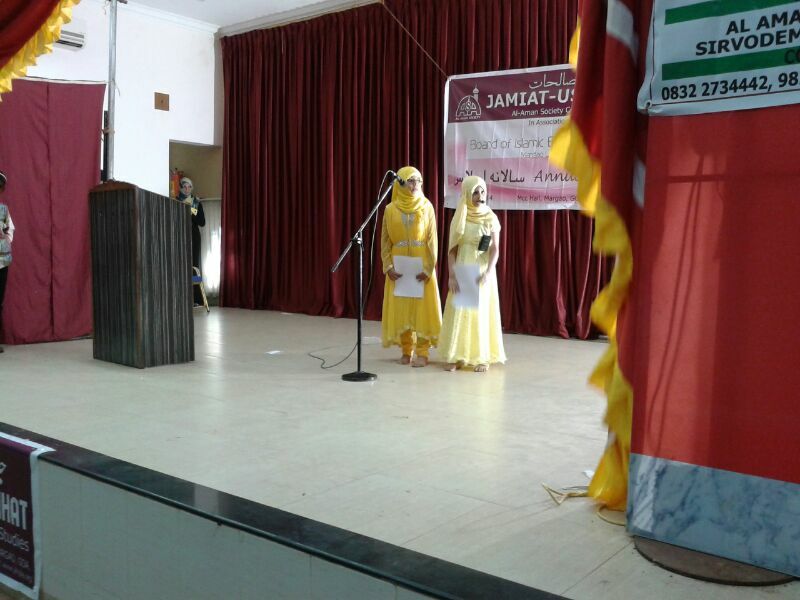 They distributed prizes to the students who participated in different competitions during the academic year 2013 -14′.The chief guest in his concluding address stressed upon parents cooperation in providing islamic education to their children, and said they must be concerned about the teachings taught to the children in cc and jac classes .And he explained that why seeking islamic knowledge is important.The programme ended with dua. Approximately 600 people attended the gathering and appreciated the performance of children.